For some children, gymnastics is a more attractive proposition than ballet. It is another perfect activity that helps develop co-ordination, strength, concentration and balance. For children, classes start as young as three to four years. You can find a gym club close to you by visiting the British Gymnastics website. 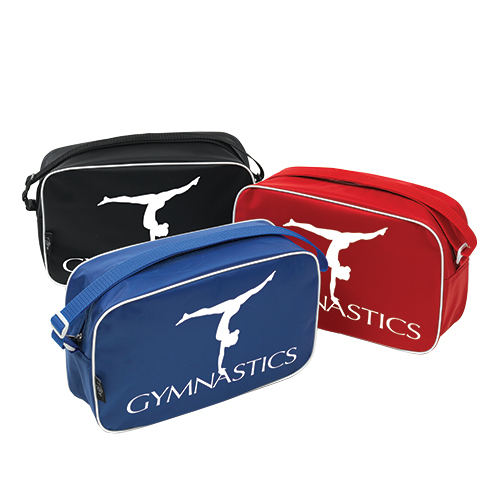 Our new gymnastics range offers something for these young starters through to those who have reached competition level. Our lycra basics in contrasting blocks, stripes and panels provide excellent value for starters into gymnastics. Vibrant and colourful yet functional and easy to care for. A little holographic sparkle on a lycra based garment transforms it into something very stylish and special and as their enthusiasm for gymnastics grows this is what the young starter. For a stand-out performance we have the Shine styles which reflect the basic lycra styles but in stunning Shine fabrics. Frequently seen at competition level. An essential item for practice wear! Available in eitherblack nylon lycra or super smooth velvet in black or navy, or for that really special look platinum Shine. A shoulder bag to carry all the gym gear in is a must!